If you have an article that need to be delivered super fast, this offer is yours. You can check the kind of work i do from my portfolio. I give the offer a top priority. My mantra is deliver pure gold to clients. I can deliver a 1000 words web article super fast. Title and scope of the article to be written. Any key words to be included. Any links. Desired time of delivery. A 50% payment deposit. 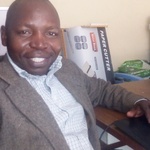 Boniface Mutinda is a prolific writer. He is a Passionate web marketer good at creating content with focus on SEO. With a firm background in research, Boniface will deliver gold. Boniface...Read moreBoniface Mutinda is a prolific writer. He is a Passionate web marketer good at creating content with focus on SEO. With a firm background in research, Boniface will deliver gold. Boniface has studied among other things History, Religion and basic applied sciences. He is has vast experience in leadership and is especially talented in mentor-ship. Your job will be done with precision and punctually.